Who killed Jesus? Was it God the Father? Did God send himself to kill himself in order to appease himself? As we discussed previously, the penal substitution model of atonement is built on a retributive idea of justice. It casts God as the vindictive herald of retribution and validates a pagan understanding of the gods and their constant need for sacrifice. The key to understanding atonement is to understand the God revealed in Jesus. In the ministry and teaching of Jesus – in his solidarity and non-condemning posture towards humanity, his ability to freely forgive, and his view of sin as a sickness that needed to be healed – we do not find the kind of God who demands retribution and blood in order to forgive. If you think about it, that’s actually not forgiveness at all. A penal understanding of justice is a human construct and the lowest form of justice. The justice of Heaven is restoration. It looks like healing for the broken rather than the eye-for-an-eye model Christ rejected. I find it amazing that Paul says the blood of the cross makes shalom (peace) in all things – ALL creation – reconciling all things to the Father. Jesus’ life and death was an offering of peace to humanity, offered in his own peacemaking blood, that destroyed the wall of the enmity in our minds, revealing Abba’s nature, cleansing our conscience of shame, showing his solidarity with our sufferings, showing the way of love and forgiveness that we should follow, exposing our violent victimization and injustice towards others, casting down the principalities and powers, conquering sin and death, and creating peace and reconciliation in all things. THIS is why Jesus had to die! When Jesus resurrects, the words on his lips are “Peace be unto you!” This is the word of the new creation. “Shalom”. Peace and reconciliation. Good news. Jesus was the lamb of God. The Old Covenant sacrificial lamb was never about wrath-appeasement. It was about liberation, reparation, righting wrongs, and reconciliation. When the lamb was sacrificed, it was man who spoke his sin over the lamb in order to do away with his sin and to be cleansed of shame – to experience freedom from guilt. In the Old Testament, God did not vent his wrath upon the lamb in a legal demand, nor did the lamb’s death symbolize God taking out his retributive justice upon the lamb. Rather, the lamb symbolized man’s ontological sin and guilt being done away with via the lamb’s physical body. This provided for cleansing of conscience and restoration of peace with God in man’s heart. The sacrificial lamb was not for God. It was for us. While God didn’t need the lamb’s blood to forgive Israel, he gave the sacrificial system to them as a method for acknowledgment of sin, righting of wrongs, contrition of the heart, freedom from shame, and restoration of relationship. This system provided accountability to God, who understood the seriousness of sin and its outworking of death, while revealing God’s presence in contrition of heart and renewed relationship. But this system was only a type and a shadow that would pave the way for the huge and extravagant revelation of the cross, which enormously overshadows the sacrificial system in its revelation of God. 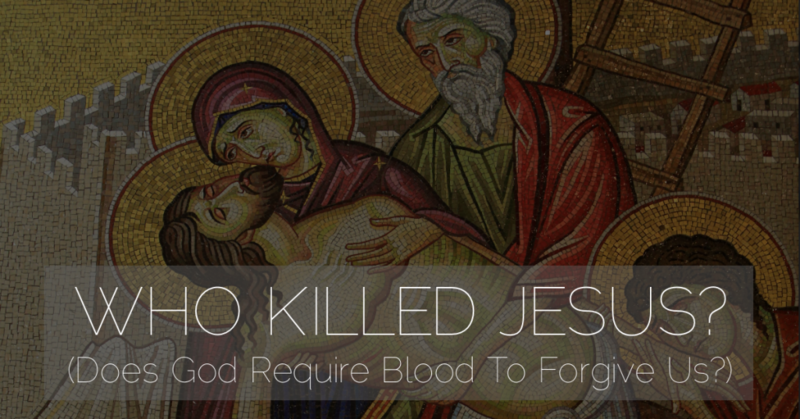 Is Blood Required For Forgiveness? Jesus says this without telling the man to go sacrifice a lamb or goat first. He simply tells the man his sins have been forgiven. When a prostitute came to Jesus and wept and kissed his feet and poured perfume on him, Jesus told her, “Your sins are forgiven.” Jesus then tells the woman, “Your faith has saved you [healed you, made you whole]; go in peace” (Luke 7:48, 50). No blood. No sacrifice required here. Just a contrite heart. Jesus explicitly spells out the way in which forgiveness works, and says nothing of needing blood. “For if you forgive others for their transgressions, your heavenly Father will also forgive you” (Matt 6:14). Moreover, throughout the Old Testament, we see God declaring through the prophets that the wicked need only to turn from their wicked ways and embrace what is right, and God would forgive them. No need for blood first. As David says, the true sacrifice God desires is a broken and contrite heart. This is what pleases God, whereas God takes no pleasure in blood. What is the significance of the blood? First, what I would have you think about is the fact that the blood of Jesus never literally touches any of us. The literal blood of Jesus fell into the earth and biodegraded. And yet, it “cleanses” us. How is this possible? The answer, like many in scripture, is that we are dealing with metaphor here. Remember that when we speak of spiritual realities, we only have physical realities to use as metaphors. In our physical reality, we “wash” and “cleanse” things to remove stain or dirt. This is used as a spiritual metaphor for removing the shame and chaos within the soul. How then does “the blood” “cleanse” us? In Israel’s sacrificial practice, the blood symbolized the life of the animal, so the idea was that the sins of the people, their shame, and the corrupting power of death were transferred to the animal and done away with in the death of the animal. This was a ritual that was not necessary to appease God but was a symbol of God’s removal of the guilt and shame of sin. It was literally therapeutic to a guilt-stricken society and foreshadowed the coming of Christ. Rituals like this were for us, not God. It was a sensory experience for the people’s consciousness that symbolized the removal of sin and renewed peace with God. The ‘peace of mind’ explanation can seem trite to some in our modern, scientific world, but consider that in the time of Moses, the entire civilized world viewed “the gods” as vengeful, vindictive entities who must be appeased with sacrifice. Every natural disaster, famine, plague, etc. that we scientifically understand today was, at that time, attributed to the judgment of the gods. Next door to Israel, it wasn’t just animals being sacrificed. Children were being offered up in a desperate attempt to appease the divine wielders of wrath. So the issue of ‘How do I keep the gods from destroying me and everyone I love’ wasn’t a footnote in a theological textbook. It was a tangible fear that wrote the pages of history for centuries. So apply this to the New Testament’s emphasis on “the blood of Jesus.” It is operating on the same principle as the sacrificial system, while completely subverting it at the same time. In Christ’s act, it was not man’s sacrifice to God, but God’s sacrifice to man. It was the ultimate revelation of love, that God himself took the shame and corrupting power of death into himself and did away with it. He therefore offers us his body and blood to drink for the assurance of deliverance, healing, and cleansing from shame and guilt by his love. No! That isn’t God. That is pagan. If you demand the payment one way or another, then it is not forgiveness. God freely forgives, and offers himself as our healing and cleansing of conscience, inviting us to partake in his nature through his own flesh and blood, and giving us an inheritance in his triumph over sin, death, and the devil. We partake in this reality in the ritual of the Eucharist. The scripture about the blood being for “forgiveness of sins” is not about an attitude of forgiveness within God. God always has the attitude of forgiveness. No, it’s about the application of forgiveness unto healing and wholeness. “Forgiveness” is about the active work of God in releasing us internally from shame and guilt. It is about a cleansing of conscience. When you look up the original word translated “forgiveness”, it is the word “aphiémi” which means “to release” or to “set free” or “deliver”. Aphesis does not mean “forgiveness” in our modern legal sense, as if God is holding a grudge against you until he watches a goat’s throat being slit, has his wrath calmed by watching the blood pour out, and then allows himself to let go of his wrath. No, “aphesis” means to deliver – to free. It doesn’t have to do with an attitude within God, which is always one of benevolence and forgiveness. Jesus tells people, “Your sins are aphiémi” (verb of “aphesis),” without demanding blood first. Forgiveness is a perpetual attitude within God. Jesus said the Father loves his enemies and is “kind to the ungrateful and wicked”(Luke 6:35). This is a Father we are called to imitate. So what did the blood free, deliver and release us from? God’s unforgiving wrath? No. We’ve delivered from our own sin, guilt, corruption, and death. “The wages of sin is death”… not death at the hands of God – death is simply the natural result of sin. God gives life (Romans 6:23). The blood’s purpose is not to deliver God from holding a grudge but to deliver us from the ontological chaos of sin and death and its slavery of fear. The Penal Substitutionary Atonement theory we discussed last week does not actually recall the types and shadows that came before it. For example, let’s look at the Passover. With the Passover lamb, the blood of the lamb was not to appease God’s wrath, but to cause the angel of death (”the destroyer”, understood in Jewish tradition as satan) to pass over. The blood of the lamb then came to be seen as part of the story of covenant with God and his ransoming Israel from captivity in Egypt. It had nothing to do with wrath-appeasement. Jesus stressed his own death in light of the Passover, which is when he initiated the Eucharist. Passover was not about wrath-appeasement. Passover was about covenantal relationship – a relationship that delivers us from slavery and death. So Jesus saw his death in terms of Israel’s deliverance from slavery and death. The death (and resurrection) of Jesus defeated sin and death and ransomed humanity from its power. It also revealed the nature of God as love. This assurance of God’s love spoken in the blood of Jesus cleanses our conscience and frees us from guilt and shame. This is what the Day of Atonement was all about. The bull and the lamb were never a legal, penal substitute. The idea that God should kill all of Israel, but a lamb would take their place was never what was going on here. The idea was that sin was done away with in the body of the animal, and therefore, the people experienced cleansing and reconciliation with God. This was a sacrifice within covenantal relationship. It symbolized the removal of sin and the restoration of relationship. When Israel presented the sacrifice, the concept was not, “God is angry and must kill us, but this animal will appease him instead.” This was not the purpose of the sacrifice. Instead, the sacrifice made provision for people to experience contrition of heart, forgiveness, and restoration of relationship in community. Israel’s sin was enormous. The crazy thing is, God just kept forgiving them. Over and over, year after year. Because the dead goat or lamb satisfied him? No, it is because God is endless forgiveness and mercy, but he also seeks restoration and relationship with us. In Christ, God himself makes the provision for restoration and reconciliation. God gives himself. Israel presented the sacrifice and put the blood on the Ark of the Covenant year after year, in faith that their covenant partner forgave them, and God kept forgiving them, year after year. This was all to point to the ultimate revelation: God offering himself freely as our forgiveness and restoration, whereby we partake in his self-offering through the Eucharist and experience his nature of forgiveness and reconciliation. This final “lamb of God who takes away the sin of the world” goes far above and beyond the types and shadows. The cross is not merely an imitation of the types and shadows, rather it is the fulfillment and the final step of divine revelation. The types and shadows point us to a far greater revelation and reality. The flesh and blood of Jesus that we eat and drink in the Eucharist reveals God’s giving of himself to us – his union with us – that there is no separation, that we have his life, and that we partake in his nature. It breaks down the wall of alienation in our minds and reveals that God is near. The reality is that our separation was always a lie, propagated by our own shame and sin-consciousness. God never pulled away from us. Rather, it was man who hid from God in the garden. God is forgiveness. He is the path to reconciliation. Jesus said, “Father, forgive them for they know not what they do.” He didn’t say, “Father forgive them, but not until they realize what they do and repent.” Jesus declares that we know not what we do, and that God does not count our sin against us. Will we allow this unconditional forgiveness to bring us back into reconciliation with the Father? Or will we continue in our self-destructive trajectory of alienation? The Hebrew understanding of sacrifice was a progression OUT of the surrounding pagan nation’s sacrificial systems. It was actually a subversion of these systems. The surrounding nations sacrificed to appease the angry gods. But Israel’s system was about covenantal relationship, contrition of heart, cleansing of conscience, and forgiveness. Jesus bent the whole thing towards mercy finally and completely, as this subversion found its fulfillment in the self-giving nature of God revealed in the cross, where instead of man giving sacrifice to God, God gives himself to us. Penal Substitutionary Atonement, however, bends the whole thing all the way back to paganism and human sacrifice to appease a distant, angry God. Blood sacrifice was a part of fear-based religion in all cultures all over the world. This ritual to appease the gods was a foundational aspect of human cultures through history and part of how ancient humanity made sense of trying to make peace with the gods. God subversively used it, and this subversion found its fulfillment in Christ. Even within the sacrificial culture of the Old Testament, there is so much language displaying God’s heart toward sacrifice – that he doesn’t really desire or delight in sacrifice but rather desires mercy and contrition of heart. The whole sacrificial system was heading towards the revelation of the cross, which completely subverts the entire pagan sacrificial framework. God doesn’t demand blood. He is the God who sheds his own blood. We don’t make peace with him by shedding blood. HE makes peace with US through his OWN blood. HE reconciles OUR alienated minds through his OWN self-giving love. Not to appease his own wrath, but to cleanse our own consciences of shame and to reveal his unconditional forgiveness. The sacrifices in the Old Testament were not for God but for us. When they slaughtered an animal, laid it on an altar and burnt it, watching the smoke rise to heaven, it was their guilty conscience that was being appeased, not Gods wrath. As Paul says, we are “alienated from God IN OUR MINDS through our evil behavior” (Col 1:21). God has never withdrawn from us, for in him we live, move, and have our being. All the alienation is in our minds. All the separation is in our guilty conscience. With this sacrificial ritual, there was repentance and reconciliation. There was contrition of heart, recognition of the ontological reality of sin and its natural outworking of death. The transfer of sin onto the innocent lamb was a reminder of the natural effects of sin. It kept the injustice and dehumanization of sin in check, so that Israel would walk humbly before God, practicing justice and mercy. Sacrifice was about reparation – repairing relationship between God and humanity, and humanity with one another. But the blood of Jesus speaks greater than the blood of bulls and goats because it is the offering of God to us and not our offering to him. It is WE who drink the blood and eat the body because it is our conscience that is being cleansed. He offers us himself, with all of his forgiveness and love, uniting us to his heart. We respond with changed hearts as his love is shed abroad within. This is the blood of the New Covenant and now the blood of God himself. It’s what he always planned on doing in an outrageous demonstration of love for the human race, pouring out his own blood in self-giving love, to reveal his unfailing love and forgiveness, so that we can come to him again and again in the Eucharist – eating the flesh, drinking the blood, and being partakers in his life. 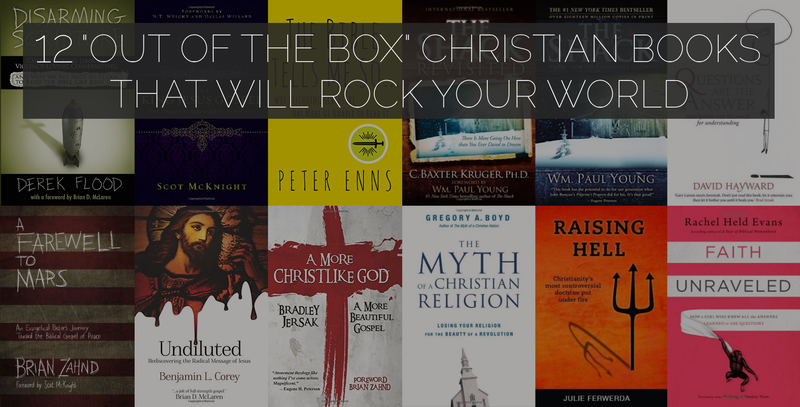 The thrust of the Bible is toward exposing the pagan mythology of a violent God, culminating in the revelation of the Son who reveals the Father. As the Old Covenant understanding of sacrifice is a subversion of the pagan understanding, the New Covenant progresses this to its fulfillment in Christ. The sacrifice of Christ is anti-pagan-sacrifice. Our Father is not like that. God did not sacrifice himself to himself to appease himself. If that was so, Jesus would not have needed to go through what he went through. All Jesus needed to do was to have his disciples tie him down to an altar and kill him to appease Gods wrath and enable God to forgive. It would be a thumbs-up to our pagan, monstrous idea of God. But that’s not the Father of Jesus Christ. Modern evangelical theology has grossly missed the point of the cross. On the cross we see a bloody God, hanging before us, whom we have beaten and killed. This God has willingly submitted to our violent enmity and lifted cries of forgiveness towards us instead of retaliating. And yet perhaps through fear or just the inability to believe in the power of this picture of God, we have used it to revalidate our pagan beliefs about God and turn it into the opposite of what it obviously is – that it is an image of divine wrath where God was so angry at sinners that the only way he wouldn’t kill us is if he could violently kill his Son instead. The image of God killing himself to appease himself is not the Gospel. It makes God into a Moloch type figure, a god who delights in and desires BLOOD, wants blood, needs blood to satisfy him, to calm him, to make him happy. This also pits God against the Son. In this view, while the cross expresses the love of Jesus, it also expresses the extreme and violent anger of God. However, the scriptures tell us that Jesus is “the fullness of God in bodily form”(Col 2:9) and “the exact representation of his being”(Heb 1:3). When you look at Christ on the cross, you are seeing God. The Father and the Son are not a dichotomy. When you see the Son, you see the Father. The cross was not God’s idea, but mans. Torture and murder via nailing human beings to pieces of wood did not originate in the mind of God. It originated in the depraved imagination of man. Man invented crucifixion. It was God’s will to submit to mans violence in order to reveal his love which is the antithesis of all the violent, wrathful, scapegoating wisdom of the world. The sacrificial system of the Old Testament was a concession on God’s part. God doesn’t need to watch an animal’s throat get slit to calm his anger. That’s pagan. Sacrifice was for man, not for the Creator of the universe. Jesus’ sacrifice completely subverted sacrifice. It was not us offering flesh and blood to the gods for them to eat and drink and be appeased, as was pagan custom. It was God offering his flesh and blood to us, for us to eat and drink, to cleanse our consciences. It was God’s peacemaking to us, not our peacemaking to God. The eternal One doesn’t get off on blood and gore. And yet God DID sacrifice his own blood. Why? To appease God? No! God never desired sacrifice. He gave himself to save us from the consequences of sin and death – to cleanse our conscience, to do away with our sin once and for all and to set us free. This is only the beginning of his goal, however, for once we are set free of a guilty conscience, walking in union with God, then we can be the fulfillment of his dream that he spoke to Abraham – to be a society that produces mercy and justice in the nations – to be a people who bring God-knowledge and blessing to the earth! This is why Christ died. This is the Gospel. Thanks for reading! We’d love to hear your thoughts in the comments below. If you’d like to read more, use the form below to download our popular exposé on Hell. Aphiemi is not the only Greek word translated into the English as forgive. You expressed well what this word really means, the cleansing of our minds, hearts and emotions of the damaging effects of guilt, shame and condemnation that sin produces in us. But another word – charizomi – is also translated into English as forgiveness and conveys an even more powerful message that you bring out here as well. It refers to the ever-existent attitude of unconditional forgiveness in the heart of God. And since forgiveness literally means letting go of an offense, the reality revealed by Jesus about God’s heart is charazomi – that He has never, ever taken offense so He does not have to let it go. But our perceptions and false beliefs that He has taken offense must be exposed and reversed or they will affect us as if it were true. For whatever we believe about God’s attitude towards us becomes the reality that shapes and affects all our relationships. Excellent article – thanks so very much. It has taken me many years to come to see what you are laying out so plainly here. God is bringing great light to our hearts, to all who will be willing to open up and receive the healing love that this truth offers to us. Yes, well said Floyd. I addressed the word aphiemi because it is the word directly related to “the blood” as well as the word Jesus used when he told people their sins were forgiven – they were delivered and healed. Charazomi expresses the heart posture always within God. This is such an excellent article…well said and clearly structured. Above all; it contains a truth that is really setting me free!! When the Adamic curse was initiated, it included everything that originated from the ground including all vegetation (Gen 3:18) and all sentient life (Gen 1:24). Even Adam had been formed from the dust of the earth. Therefore, if all vegetation and all human/animal types were cursed in the ‘ground,’ then, even the blood of Abel’s animal sacrifice was cursed — and yet — God accepted it inasmuch as it was ONLY A SHADOW of that “better” sacrificial Lamb that was to come in the far distant future (see Gen 3:15). Imperfect as Abel’s offering was, yet for the sake of its promised Antitype (Christ) it was divinely sanctified to serve on a temporary basis. Cain came with a bloodless, cursed, ‘home-grown work of his own hands offering’ and, thus, did not find favor with God. In the end, ONLY the sacred blood of an altogether pure and divinely-approved offering could have completely sanctified Cain together with his brother, Abel, and even ALL humanity. Therefore, behold, the perfect ‘acceptable’ sacrifice; the one chosen by the heavenly Father, “…with the precious blood of Christ, a Lamb without blemish or defect” (1 Peter 1:19). (An excerpt from a new book, Grace Nuggets Uncovered, by Ivan A. Rogers. Available from Amazon.com (paperback or Kindle). I suggest something different as per this matter. To anyone who has read ancient or medieval chronicles, it’s pretty quickly clear that the farmers’ attitude towards pastoral people is that they are sloths compared with we industrious tillers. And if Cain offered his sacrifice in such a spirit, expecting God to smile on his sacrifice because he worked so much harder than his layabout brother, well, could any attitude be less righteous with which to offer up such a sacrifice? Maybe Abel offered up of his flock with no such expectation and, hence, God smiled on his offering? One could also say that Cain offered God a dividend while Abel sacrificed a portion of his working capital, too, but the first interpretation makes more sense to me in light of God telling Cain to ‘fight against sin’. And what sin is worse than spiritual pride? My wife is one of those hypnotized and terrorized by the judgments revealed in Revelation. She wants to know if you’ve anything to say about where it says ‘the smoke of their torment goes up forever’ of those in the purported lake of fire as this is where the Beast and the false prophets are thrown and all the other categories ad nauseam. She, poor soul, believes in eternal punishment and an actual eternal lake of fire. Really. I need all the help you can give to lighten her soul! She can’t get past the words ‘eternal’ and ‘forever’ in the description of the lake of fire!! Can you help with this? Brian, thank you for honesty and I want to say that I deeply empathize. I was tormented by the idea of eternal torment for years. Existence was dark. Rather than share a few pointers with you, I think anyone who is truly affected deeply and negatively by these ideas should read a good book that thoroughly deconstructs it. I want to recommend the book “Her Gates Will Never Be Shut” by Brad Jersak. My wife also believes in the New Jerusalem, as do I. She literalizes John’s picture of it and I let it go because I understand that no earthly language can come very close to its description. Love this Jacob. I would add that in Hebrews 9:22 where it says ‘the law demands ….’ that it never was God. He gave Moses 10 commandments and then the Jews made up the rest. That is why the bible seems to contradict itself when its says God never wanted sacrifice but a contrite heart etc. Hi Jacob, did you use some sources for this? If so, could you site the sources you used for this article. Also, have you studied what pagan and Jewish cultures believed about theit cuitic practices? . Sources for which specific part? This is so far from the realm of academic/peer-reviewed work that it would be humorous to find a citation within it. *Their* looking forward to hearing from you brother. Thanks man. Great article Jacob! I would add that the forgiveness aspect also deals with a release from sins power over us. It goes beyond a conversation on pardon. I really love the quote from Hebrews 2. Im gonna use it today on a piece discussing the wrath of God. Peace. The crucifixion is a story guys. It’s allegory. Christ is synonymous with divine reason so Christ didn’t die for our sins in a sacrificial act of atonement, he dies because of our sins, every day in the here and now. “Un-Christian,” a much more accurate description Nicole. Well said. The cross . . . manmade, yes. We have only the power to forgive . . . ourselves. There is no atonement, only restitution, (if chosen) unless death occurs and then it will dangle on in the feelings until our / their death occurs. This is not vindication, simple emotional management. Bad behavior is projection. Sometimes limited to feelings and words but sometimes action. Love (truth) is all there is. The universal energy of love, God, if you will, eternally conspires for our good. We are born with that mind-set, DNA, proclivity . . . and life deconstructs, brainwashes, and works to rewire. It is simply the perpetuation of man-made interpretation of the original, “implanted,” writings on our heart . . . to use part of your scripture. Truth (love) is innate, requires not interpretation or re-writing. It is demonstrated in all of nature. So simple. A lot of really good ideas here. I’ll have to take more time digesting it all. I came to reject the traditional view of hell several years ago, but I was left wondering why Christ died on the cross. However, perhaps rethinking the “pagan” negative characterization is in order. Maybe some kind of qualifier, what exactly are you referring to? Druids, Wiccans? I think that what you mean is very different from what we think of as modern pagan beliefs which tend to focus on peaceful, reflective practice. I find myself drawn to the ancient beliefs of my ancestors, the Celts and I find them very compatible with my evolving ideas of Universalist Mystic Christianity. The penalty for sin was death . . . eternal separation from God. (Romans 6:23) It was a penalty that sinful man could not pay without his spending all eternity to pay it, and still it would be unpaid. This was an unsolvable problem, except by the grace of God who provided Himself as our substitute. As the Lamb of God, His blood was indeed required, since according to the manner in which God had prescribed the cleansing away of sin, only blood would suffice. (Leviticus 17:11, Hebrews 9:22) Yes, it was for us. The sacrificial system was set up as a type and a shadow that pointed to the cross. Yes, the cross exceeded the sacrificial system. (Hebrews 7:27, 9:12, 10:10, 1 Peter 1:19) That was the plan all along. (2 Samuel 14:14) Human offerings and sacrifices were never sufficient, for though animals were innocent, they were not equal in value to human life. (Hebrews 10:4) This is why Christ is quoting Psalm 40:6 – 8 in Hebrews 10:6 – 7. The offering always required the faith of the offerer in order to be accepted. (Leviticus 1:2 – 4, Amos 5:21 – 22) The same truth was taught by Jesus when He pronounced the forgiveness of sins, adding, your faith has saved you. That faith was a trust in Christ as the savior. It looked forward to His blood sacrifice always. The covenant was always so ratified. (Romans 5:8 – 9, 5:25) This was no mere “metaphor”. It was the reality. Yes, “The blood of Christ cleanses us from all sin.” (1 John 1:7, Revelation 1:5 – 6) In seeking to explain all of these truths away, this article teaches error. Thanks for more great thoughts Jacob! I’m still working through all this, but each article has been a great source of information. Wow! I can’t believe I found this article. This is what I have been searching for for years. This is the way God revealed Himself to me but I couldn’t explain it. I like the part where you say that the sacrifices provided a contrition of heart to the people. This is very correct. Christ’s sacrifice changes us and our hearts-it does not change God. God has always been the God of forgiveness. Thank you for this message. Heavenly Father blessing be multiplied to you in Messiah. Your discourse on the purpose of blood of sacrifice Lamb of atonement naturally exists in my mind but I haven’t expressed it. I don’t know it but it exists in my deep; i don’t know how can I explain this. You just scratched it from the deep of my heart. Yahuah bless you! Sorry if this has already been asked but what are some of the most influential books and other resources that have shaped your understanding of the atonement?